India has won the hearts of millions of travel enthusiasts from all across the globe. Its fascinating culture, diverse cuisine, breath-taking architectural wonders, interesting geography, colourful festivals and mesmerizing landscapes make it a world-renowned holiday destination. This article lists India’s five top destinations that are perfect for a memorable holiday. Goa, a petite state, is the most popular tourist destination on the west coast of India. It is a land of sun, sand and seafood. It is known for its picturesque sandy beaches, untouched villages, crazy nightlife, lip-smacking cuisine and beautiful monuments that are of historic significance. Be it a family retreat or a honeymoon, Goa is perfect for both. The colourful souks of Panaji, beautiful churches of Old Goa, picturesque beaches of North and South Goa, and lively parties makes it a perfect destination to take a break from your daily routine and rejuvenate your mind and body. A lot of tourists will be delighted to know that gambling is legal in Goa. There are numerous casinos, each known for different attractions like exciting games and culinary offerings. Whether an exotic holiday or a budget-friendly one, Goa is perfect for both. Websites like Booking.com or Hotels.com to help you connect with some incredible places to stay in Goa. Vibrant colours, gorgeous palaces, magnificent forts, melodious folk music, lip-smacking cuisine and royal history define the state of Rajasthan. Some must-visit places in Rajasthan include Jaipur, Udaipur, Jodhpur and Jaisalmer. Jaipur or “The Pink City” is the state’s capital. It is popular for the 16th-century Amber Palace, Hawa Mahal or “Palace of the Winds”, the 18th-century City Palace and Jantar Mantar that is home to world’s largest stone dial. Udaipur is popular for scenic lakes like Lake Pichola and Fateh Sagar Lake, and palaces like City Palace, Monsoon Palace etc. Jodhpur, popularly known as “The Sun City” is known for its majestic forts and palaces like Mehrangarh Fort and Umaid Bhawan Palace. Nestled in the Himalayan Mountains, Jammu and Kashmir is the northernmost state of India. Popularly known as “Paradise on Earth”, the state is famous for its spectacular landscape, snow-covered mountains, rolling hills blanketed with lush greenery, unique handicraft and local delicacies. Srinagar, the capital of tourism in Jammu and Kashmir, is known for the spectacular Dal Lake. Here, tourists can enjoy a shikara ride and buy souvenirs from the floating markets. Leh, another gorgeous city in Jammu and Kashmir is known for its scenic surroundings, Buddhists sites, trekking trails and rugged terrain. Gulmarg, a popular skiing destination, is at its best when visited between March and October. Other popular places of Jammu and Kashmir are Pahalgam, Katra and Patni Top. The Andaman and Nicobar Islands, one of India’s seven union territories are a group of 300 scenic islands known for their palm-fringed beaches, turquoise waters, tropical rainforests, rich marine life and interesting history. Number of beaches like Radhanagar Beach, Kala Pathar Beach, Elephant Beach and Vijay Nagar Beach make Havelock Island a favourite among tourists. You can just bask in the Sun and relax or indulge in some water sports. Another popular destination is Port Blair, the capital city of Andaman and Nicobar Islands. Here, you can explore Cellular Jail that was a former colonial prison, Ross Island, Samudrika Naval Marine Museum and Viper Island. Other popular spots that you can explore here are Mount Harriet and Madhuban, North Bay Beach, Mahatma Gandhi Marine National Park and Diglipur. 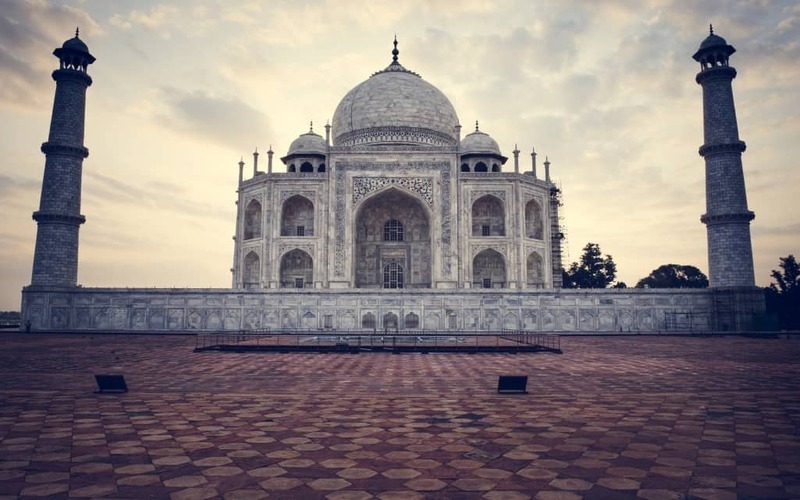 If you visit India, you must visit Agra, a city in Uttar Pradesh and home to the mesmerizing Taj Mahal, a marble mausoleum that sits on the bank of the Yamuna River. The monument was commissioned by the Mughal emperor, Shah Jahan for his wife Mumtaz Mahal. Other attractions in Agra include Agra Fort, Itmad-ud-Daula, Tomb of Akbar the Great, Mehtab Bagh, Moti Masjid and Jama Masjid. India is blessed with lush greenery, dense forests and exotic wildlife. Some popular wildlife sanctuaries where you can enjoy jungle safaris and watch rare animal and plant species are Ranthambore, Corbett, Sariska and Bandipur. India also offers some of the best Spa and Ayurveda therapies perfect to rejuvenate your mind and body. If you are interested to learn more about India, especially its history, geography, politics, economy and culture, have a look at the valuable information that can enrich your knowledge base with the marvels of incredible India.